I don't know about you girls, but I always have trouble when it comes to presents for my dad or any other friend or boyfriend. This year I found this web shop called Menlook that offers a huge variety of gifts. Indeed they offer designer clothing, shoes, grooming, watches and even skate boards! It's a perfect solution if you don't have time for malls and stores. I love the ''Gift machine'' which helps you choose a gift for a variety of styles and your budget. I even found a few awesome things for myself :D I made a photo of my favourite items. 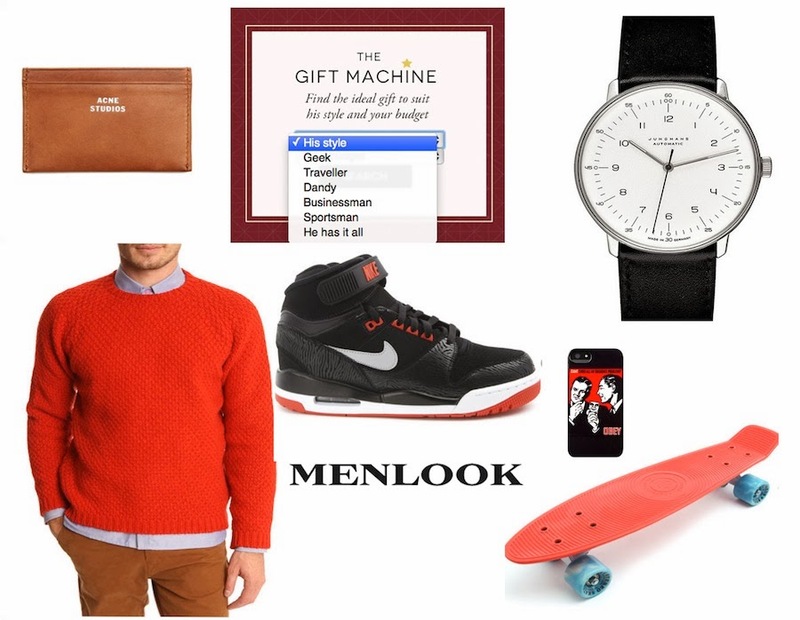 It's mostly red because of Christmas season :) I have an eye on this skateboard (for myself) and headphones.